WRaPS3 assesses pupils’ developing word recognition and phonic skills, and helps to pinpoint problems in the initial stages of learning to read. 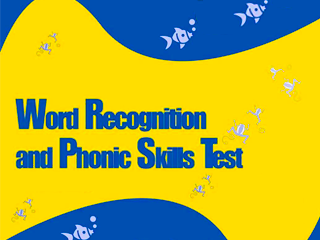 Please be advised that orders of Word Recognition and Phonic Skills Tests are restricted to schools/institutions only. Please supply an institutional address when you place your order as we are unable to fulfil orders with a private address.